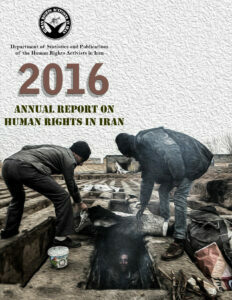 This leaflet contains the 2016’s analytical and statistical annual report on the human rights in Iran, prepared by the Department of Statistics and Publications of Human Rights Activists in Iran (HRAI). This statistic analysis report presented by HRAI is the result of the daily efforts of this organization and its dedicated members as part of a daily statistic and census project that started in 2009 by this organization. 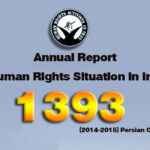 This annual report on human rights violations in Iran (2016) is the collection, analysis, and documentation of 3439 reports concerning human rights, gathered from various news sources during 2016. Human Right Activists News Agency (HRANA) has gathered and reported 28%, official or close to the Iranian government sources 63% and other human rights news agencies 9% of all the reports analyzed in this Annual Report. The following 31-pages includes statistical overviews and related charts on various sections regarding women’s rights, children’s rights, prisoners’ rights and etc. 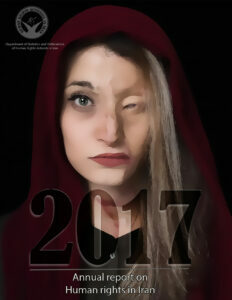 based on this report, despite the 4% increase in human rights violations reports in provinces other than Tehran, compared to the last year’s annual report, there is still a major concern on lack of proper reporting and monitoring of the human rights situation by the civil society in the smaller cities. 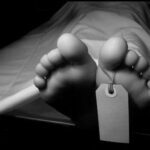 This report is the result of endeavors made by courageous human rights activists in Iran who pay a very high cost for the realization of their humanitarian beliefs. However, for obvious reasons (i.e. existing governmental limitations and ban on the free exchange of information and government preventing the existence of human right organizations in the country), this report by no means is free of errors and cannot alone be a reflection on the actual status of human right in Iran. 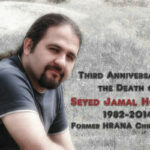 However, it should be emphasized that this report is considered as one of the most accurate, comprehensive and authentic reports on the human rights conditions in Iran and it can serve as a very informative source of information for human rights activists and organizations working on Iran, to better understand the challenges and opportunities that they may face. 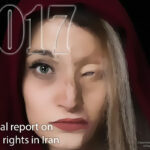 The Department of Statistics and Publications of the Human Rights Activists in Iran (HRAI) of Iran has published its sixth annual report on the human rights situation in Iran. 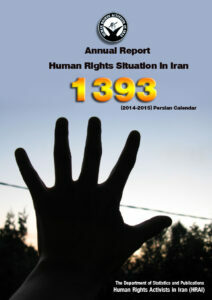 This report concerns the events and human rights incidents occurred in Iran over the course of one-year period (2014-2015). These reports have been collected by the HRAI reporters and associated organizations in addition to the reports published by the state media, unofficial media, and international resources. 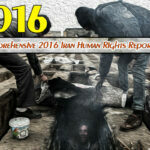 This report highlights some of the most important human rights incidents in Iran in 2014, which could be useful for the human rights activists and researchers. The names of the executed political prisoners or those awaiting the execution decree as well as arrested individuals in different categories are also included in this report. 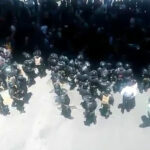 HRANA News Agency – The following video reports the clashed between the citizens and police force in the commercial market of Dehsheikh, in Lamerd, Fars province. 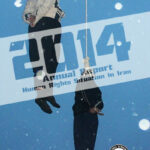 HRANA News Agency – The Department of Statistics and Publications of the Human Rights Activists in Iran has published an analytical report on the human rights situation in Iran during the one-year period (2014-2015). This report is the result of daily efforts of the organization and its dedicated members in the past few years based on a survey-based project started in 2009 and indicated as statistical analysis on this report. 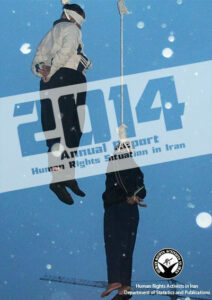 The report consists of statistics in different areas of human rights violations in Iran e.g. ethnic rights, religious rights, freedom of expression, executions etc. 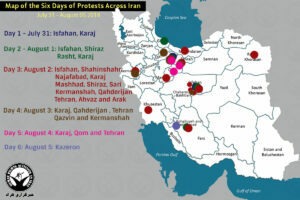 It also includes the statistics of human rights violations in different provinces in Iran as well as a general comparison with the statistics of the last year. 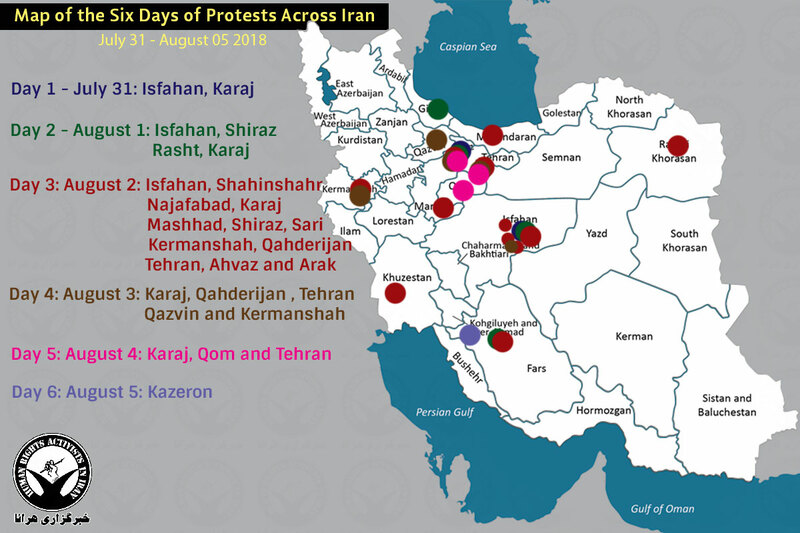 The Department of Statistics and Publications of the Human Rights Activists in Iran has included different monthly comparative figures in the report, through which you can have an overview of the whole situation in different time frames. 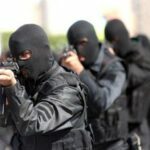 HRANA News Agency – Ali Alqasi, the attorney general of Shiraz, has announced that six amputation verdicts have been issued in this city and will be carried out soon.